If your toddler has figured out how to climb out of his crib, chances are you are considering moving to a big kid bed. My advice? Don’t do it! If he is climbing out of his crib he will absolutely be climbing right out of his bed. And it’s a whole lot harder to keep a toddler in their room than in their crib. But how do I keep him in his crib? • Turn the crib around. Instead of having the higher back of the crib against the wall, turn the crib around so that it is on the outside. Your toddler won’t be able to lift his leg high enough to climb out. • Put a sack on him. Have you ditched the sleep sack already? Put it back on him BACKWARDS. He won’t be able to unzip it or swing his leg over the rail. • Nip it. If you have a video monitor, watch him closely after you put him to bed. Each time he tries to climb out, enter immediately and give him a firm “no climbing” and place him back in. This may take a while the first night, but your toddler will eventually get the message. How do I prepare for the big move? Eventually you will need to get rid of the crib. Maybe a new baby is coming or your toddler has turned gymnast and you can no longer contain him. • Have a family meeting. Sit down at the kitchen table with the whole family and review your family’s sleep rules. In our house we follow “Eyes Closed. Mouth Quiet. Stay in Bed.” But any variation of this is fine. • Make it visual. Include your child in creating a poster of the sleep rules using pictures of your child acting out the rules, drawings, or clipart. • Ax curtain calls. 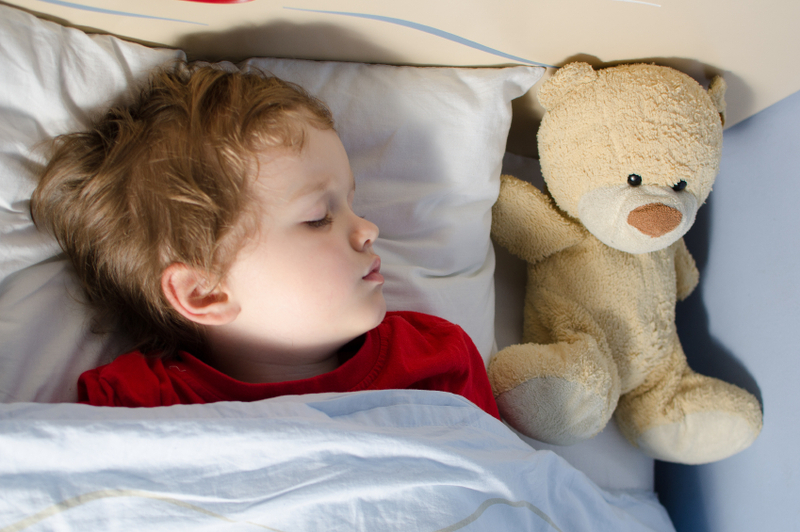 Think of everything your child may ask for at bedtime such as a drink of water, a trip to the potty, a tuck in, hug and kiss, or that special teddy bear, and make sure you point out that each of these needs have been met. That way if your child makes repeat appearances for one of these, you won’t be tempted to give in. • Use an alarm clock. There are many toddler alarm clocks on the market that use a visual cue such as a bunny waking up or a light that turns green to single when it is okay to get out of bed. These are a great tool to help eliminate those early morning bedside visits. This is a momentous and exciting milestone. Be sure to take a picture (that’s my son is his big kid bed!) and make sure you express to your big kid how proud you are of him or her! • Create a bed time haven. Allow your child to pick out new bed linens or surprise him with a bed set of his favorite character. You’d be amazed at just how proud your child will be of his new big kid bed! You can also allow your child to pick out a new bedtime buddy and teach him that when he wakes in the middle of the night he should roll over and hug his buddy. • Reward your child. Let’s face it. Change is tough. If your child falls asleep in his bed and stays there all night, reward him! You can use a sticker chart or allow him to pick out of a grab bag of small toys. Transitioning to a big kid bed is a big move, but with a little preparation, consistency, and determination, it can be a milestone worth celebrating! If you have a stubborn child (ask me about that boy in the picture) or are having a hard time operationalizing your plan, a Child Sleep Consultant can help you create a sleep plan that will help get your child back on track. Jessica Begley is an Infant and Child Sleep Consultant and Certified Lactation Counselor. She is the founder of The Baby Sleep Geek and is passionate about helping wee ones and their families get the sleep they need to be happy, healthy, and well-rested. Next story weeLove: Are Mom-Friendly Jobs Just a Myth? Fun kids beds are a good option as they cover both the primary requisites for selecting a kid’s bed. 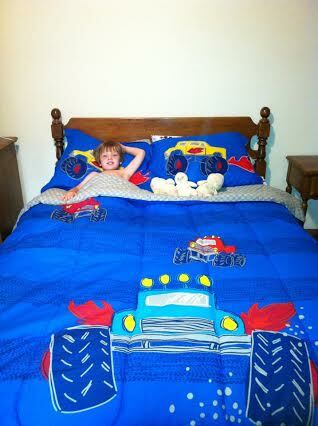 These car beds are adored by kids for their exquisite designs and patterns. Plus, these beds come in bold colours, which further add to the playful ambiance of the room.